In the first book of the Isle of Misfits series, a gargoyle that can't sit still at his post is invited to live on an island full of other restless magical creatures! Gibbon is a gargoyle who has been unable to sit still for hundreds of years. One day, he leaves his post from the castle he was meant to be guarding, and a person sees Gibbon, he panics and runs away. As Gibbon is sadly walking back, he meets three gargoyles who bring him to an island filled with other legendary creatures. There, he goes to a special academy that will train him to go on missions to protect all sorts of mythical creatures who are in trouble. Excited to go and happy that he won't be lonely anymore, Gibbon is also nervous to go some place where he doesn't know anyone. Will he be able to make friends in this new place? 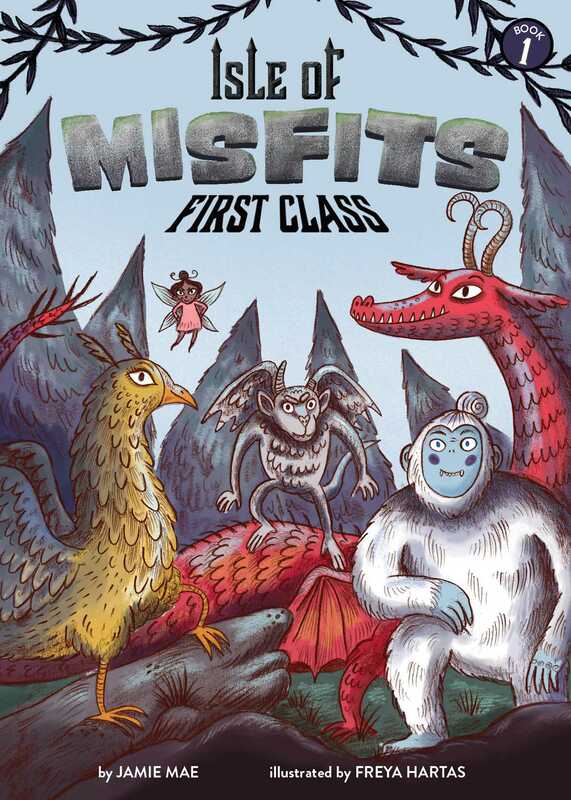 Find out in this new and exciting creature-filled series, complete with a hilarious cast of characters such as a clumsy dragon, an ill-tempered fairy, a griffin with poor flying skills, and a yeti with a manbun!